A couple of weeks ago I developed sweet recipe using chickpea flour. 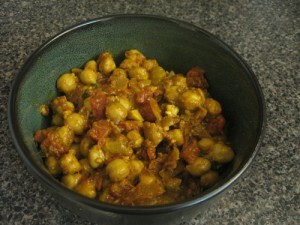 This week I decided to develop a savory recipe using actual chickpeas. 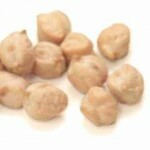 Chickpeas, also called Garbanzo beans are such a versatile bean. Puree them with some extra virgin olive oil and tahini, and you’ve got yourself a great hummus. Fry them up and you’ve got yourself a crunchy fiber filled snack. Toss these wonderful meaty beans on a salad, and you now have a hearty meal. 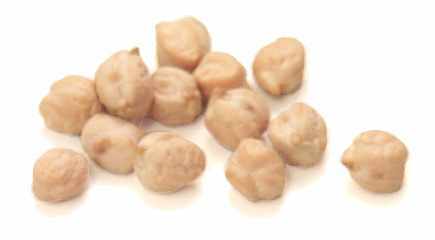 Sauté them with some spices, and you will have yourself a flavorful dish which can be enjoyed with rice or roti. Enjoy this wonderful recipe for Channa Masala. A very easy and delicious recipe to make with your chickpeas! Add the oil to a hot saucepan. Sautee the onions on medium heat, until translucent. Add the cumin seeds and sauté for another five minutes. Add the garlic and ginger and sauté for another minute. Add the salt, dry chilies, turmeric, coriander powder, garam masala and sauté for 3-5 minutes. Add the diced tomatoes and chili powder and sauté for another minute. Add the tomato puree and tamarind paste. Stir in the chickpeas. Add enough water to just cover the chickpeas. Allow this to come to a boil, then reduce he and allow sauce to thicken. Once sauce has thickened to desired consistency, stir in the cilantro, then take off of heat. Allow this to slightly cool. Serve with freshly sliced onions on top. Eat with warm/toasted whole wheat pita. Enjoy!! This entry was posted on Wednesday, October 14th, 2009 at 6:36 am and is filed under Recipes. Thank you for posting this! I just made it – it was delicious and easy to make. ( although i didn’t have the tamarind paste and omitted onions).